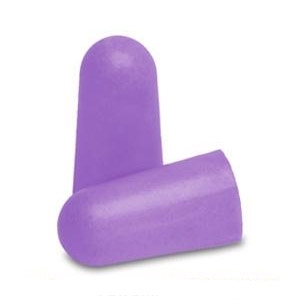 Made with super soft foam these earplugs are perfect for extended wear where comfort is important. 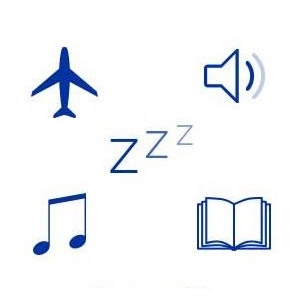 Use them to mask noises to help you get to sleep, when you are reading or need to concentrate, protect your ears at loud events or when you are travelling and need to get some rest night or day. Mack’s Slim Fit soft foam earplugs are designed for individuals with smaller or more sensitive ear canals. Get the perfect fit while maximizing comfort and performance. With a Noise Reduction Rating of 29 dB, Mack’s Slim Fit earplugs not only protect your ears from dangerous noise levels, they also deliver comfort so you can relax and sleep in peace. Block out snoring, sleep peacefully, relax while traveling, enjoy music concerts and use power tools with Mack’s Slim Fit multi-purpose, noise reducing earplugs. Whether you’re trying to study for the big exam or just trying to learn a new skill or hobby, concentration is key and noise is the enemy. Roommates, family, pets, electronics and neighbors, to name a few, can all be sources of noise that disrupt concentration. Mack’s Ear Plugs are the perfect studying companions to help keep the noise at bay and help you maintain your focus. Do you suffer from insomnia? Lack of sleep affects millions of Americans and can contribute to physical and emotional health issues. Mack’s Snoozers Silicone Earplugs help you achieve the deep, quality sleep your body needs, allowing you to be at your best. * Discard after several uses or as soon as dirt or wax accumulates on earplugs. How does the size differ between Mack's Slim Fit Soft Foam Earplugs and more standard-sized foam earplugs? My ears canals seem normal size to me, but earplugs are often uncomfortable in my ears if I wear them for an extended period of time. Will Mack's Slim Fit Soft Foam Earplugs be more comfortable for my ears? Ear sensitivity varies greatly from one person to another, and even from one ear to another, on the same person. Any pre-molded earplug that works by exerting a bit of pressure back on the ear canal to seal it properly may, over an extended period of time, begin to cause some discomfort to the wearer. People with smaller ear canals experience this discomfort more often as "normal" sized earplugs don't fit as well into their canals. If you have smaller ear canals and/or sensitive ear canals, a smaller diameter earplug like Mack's Slim Fit Soft Foam Earplugs lessen this pressure and thus increase the comfort level. The earplugs are made of urethane foam. The "latex" in our foam earplugs is not natural latex, it is a synthetic latex technically called an emulsion polymer. It has the same properties as latex (water based, adhesive, etc.) but does not have the enzyme problem associated with natural latex. No. These earplugs were specifically designed to provide superior protection against noise. For water protection, we recommend that you try one of Mack's® moldable silicone or pre-molded flanged earplug products. First try re-inserting the earplugs after carefully re-reading the directions. Be sure to insert the plug while pulling (with the opposite hand) up and back on the outer ear to straighten the ear canal. If you are still unsuccessful with a plug that has now warmed to body temperature, try another "cooler" plug. A plug that is cooler in temperature will retain its compressed shape and rigidity slightly longer, sometimes making it easier to insert. 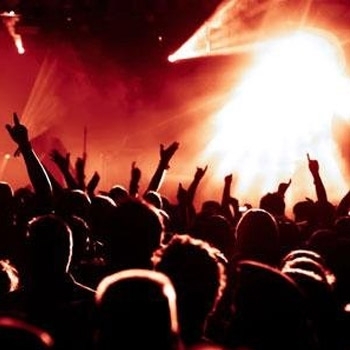 A sign that the earplug is sealing properly is that your own voice will sound more internal and exaggerated. These earplugs are perfect for my little ear size. I have no problem getting them in or keeping them in. I will definitely purchase again and would definitely recommend. These are great as ive had surgury on my ear canals and they are still too small for these little guys :( And they dont even block out my partner being doing rolling around on the computer which isnt even that loud. 32db technically is enough to block a whisper.